Peter Csermely is a Hungarian biochemist and professor at Semmelweis University. His major fields of study are the adaptation and learning of complex networks. In 1995 Csermely launched a highly successful initiative, which provided research opportunities for more than 10,000 gifted high school students. 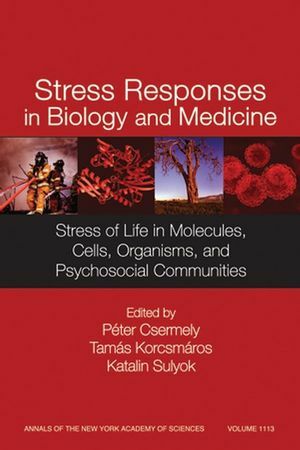 Tamas Korcsmaros is the editor of Stress Responses in Biology and Medicine: Stress of Life in Molecules, Cells, Organisms, and Psychosocial Communities, Volume 1113, published by Wiley. Introduction: Péter Csermely and Tamás Korcsmáros. Part I: Stress Proteins: Molecular Stress:. 1. New Tricks for an Old Dog: The Evolving World of Hsp70: Kevin A. Morano. 2. Heat Shock Factors at a Crossroad between Stress and Development: Malin Akerfelt, Diane Trouillet, Valerie Mezger and Lea Sistonen. 3. Extracellular Heat Shock Proteins in Cell Signaling and Immunity: Stuart K. Calderwood, Salamatu S. Mambula and Phillip J. Gray Jnr. Part II: Stress and Cellular Functions:. 4. Membrane Regulation of the Stress Response from Prokaryotic Models to Mammalian Cells: Laszlo Vigh , Hitoshi Nakamoto, Jacques Landry, Antonio Gomez-Munoz, John L. Harwood and Ibolya Horvath. 5. Temperature Stress: Reacting and Adapting--Lessons from Poikilotherms: John L. Harwood. 6. Endoplasmic reticulum Stress: Gabor Banhegyi, Peter Baumeister, Angelo Benedetti, Dezheng Dong, Yongfu, Amy S. Lee, Jianze Li, Changhui Mao, Eva Margittai, Min Ni, Wulf Paschen, Simona Piccirella, Silvia Senesi, Roberto Sitia, Miao Wang and Wei Yang. 7. Chaperones and Proteases: Guardians of Protein Iintegrity in Eukaryotic Organelles: Claudia Leidhold and Wolfgang Voos. 8. Oxygen, Hypoxia and Stress: Cormac T. Taylor and Jacques Pouyssegur. 9. Review on Bacterial Stress Topics: Anna Maria Giuliodori, Claudio O. Gualerzi, Sara M. Soto, Jordi Vila, and Maria Mar Tavio. 10. 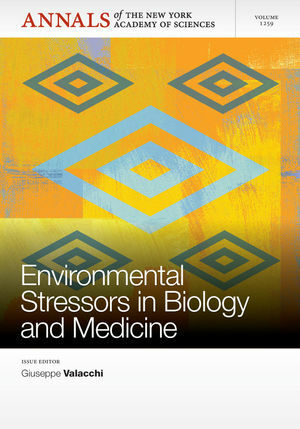 Variation in Stress Responses within a Bacterial Species and the Indirect Costs of Stress Resistance: Thomas Ferenci and Beny Spira. 11. Molecular Mechanisms of Light Stress of Photosynthesis: Imre Vass, Krisztian Cser and Otilia Cheregi. 12. The Plant Host-Pathogen Interface: Cell Wall and Membrane Dynamics of Pathogen Induced Responses: Brad Day and Terry Graham. 13. Long-Term Acclimation of Plants to Elevated CO2 and Its Interaction with Stresses: Zoltán Tuba and Hartmut K. Lichtenthaler. Part IV: Stress at Level of the Organism:. 14. Heat Shock Proteins and Protection of the Nervous System: Ian R. Brown. 15. Heavy Metal Ions in Normal Physiology, Toxic Stress and Cytoprotection: Michael A. Lynes, James Kang, Stefano L. Sensi, George A. Perdrizet and Lawrence Edward Hightower. 16. Interleukin-1 System in CNS Stress: Seizures, Fever and Neurotrauma: Tamas Bartfai, Manuel Alavez-Sanchez, Siv Andell-Jonsson, Marianne Scultzber, Annamaria Vezzani, Erik Danielsson and Bruno Contia. Part V: Stress in Medicine:. 17. Chaperonopathies by Defect, Excess, or Mistake: Alberto J. L. Macario and Everly Conway De Macario. 18. Heat Shock Proteins in Cancer: Michael Sherman and Gabriele Multhoff. 19. Drugging the Cancer Chaperone HSP90: Combinatorial Therapeutic Exploitation of Oncogene Addiction and Tumor Stress: Paul Workman, Frances Burrows, Len Neckers and Neal Rosen. 20. Stress, Heat Shock Proteins, and Autoimmunity: How Immune Responses to Heat Shock Proteins are to be Used for the Control of Chronic Inflammatory Diseases: Willem Van Eden, Georg Wick, Salvo Albani and Irun Cohen. 21. New Molecular Mechanisms of Duodenal Ulceration: Sandor Szabo, XiaoMing Deng, Tetyana Khomenko, Ganna Tolstanova, Longchuan Chen, Klara Osapay, Zsuzsanna Sandor and Ximing Xiong. 22. Metabolic Syndrome: Psychosocial, Neuroendocrine and Classical Risk Factors in Type 2 Diabetes: Nader G. Abraham, Eric J. runner, Jan W. Eriksson and R. Paul Robertson. 23. Stress Sensitization in Schizophrenia: Kunio Yui. 24. Glucocorticoid Hyper- and Hypofunction: Stress Effects on Cognition and Aggression: Jeansok John Kim and Jozsef Haller. 25. Cognitive Activation Theory of Stress, Sensitisation, and Common Health Complaints: Holger Ursin and Hege Randi Eriksen. 26. The Catecholamine-Cytokine Balance: Interaction between the Brain and the Immune System: Judith Szelenyi and Sylvester E. Vizi. 27. Chronic Stress and Social Changes, Socioeconomic Determination of Chronic Stress: Maria S. Kopp, Arpad Skrabski, Andras Szekely, Adrienne Stauder and Redford B. Williams. 28. Attitude toward Death. Does it Influence Dental Fear? : Gabor Fabian, Orsolya Muller, Szilvia Kovacs, Minh Tu Nguyen, Tibor Karoly Fabian, Pal Fejerdy and Peter Csermely. Part of the Annals of the New York Academy of Sciences series. Annals volumes are available for sale as individual books or as a journal. For more information on subscriptions, please visit www.blackwellpublishing.com/nyas.